This is a rather rare antique 10" size pipe wrench with the hardwood handle. 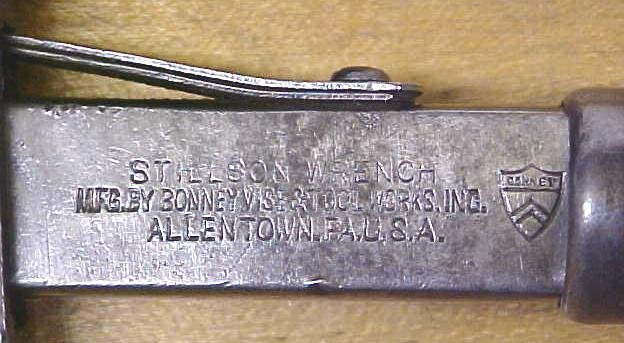 It is marked "STILLSON WRENCH MFG. BY BONNEY VISE & TOOL WORKS ALLENTOWN PA U.S.A. 10" on one side. It measure about 9" long fully closed, the jaw width is about 5/8" wide. 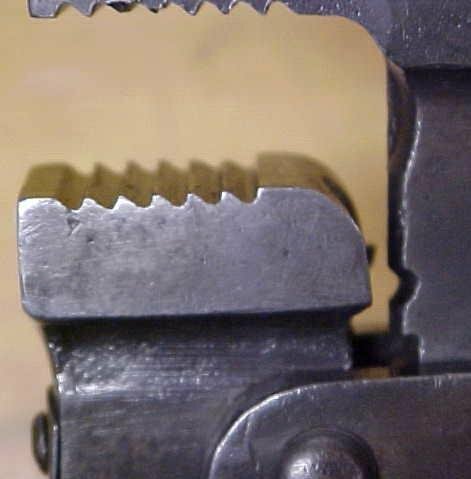 This model features the double spring on the top of the bar, and single on the lower for adjusting the pivoting carrage of the wrench while in use. The jaws have a little wear, a few small chips on the teeth, but plenty of teeth left for gripping pipe. The wrench is very clean, no rust, straight bar and jaw, good solid hardwood handle with good steel ferrule, and end nut. The handle has a slight grain split on the end, but was tested, and is very strong, not cracked through or loose in any way. A rare wrench by a well known maker Bonney! 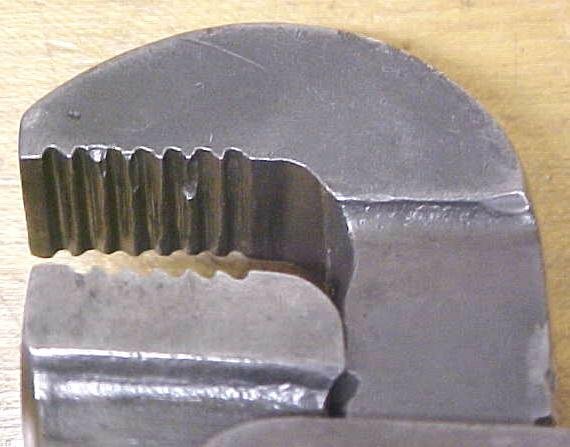 Items Similar To "Stillson Pipe Wrench 10 inch Adjustable Bonney"